No matter where you live, house or apartment, you can grow plants that will be the envy of everyone in your neighborhood with our special house plants fertilizer. 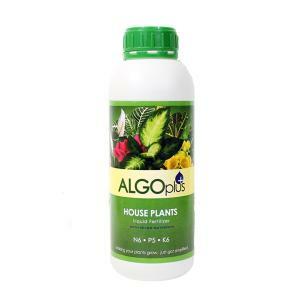 AlgoPlus House Plants is ideal for all your green foliage and potted flowering plants, including cacti and orchids. Your house plants can be healthy and beautiful while discouraging abundant root growth which can cause potted plants to get root bound.